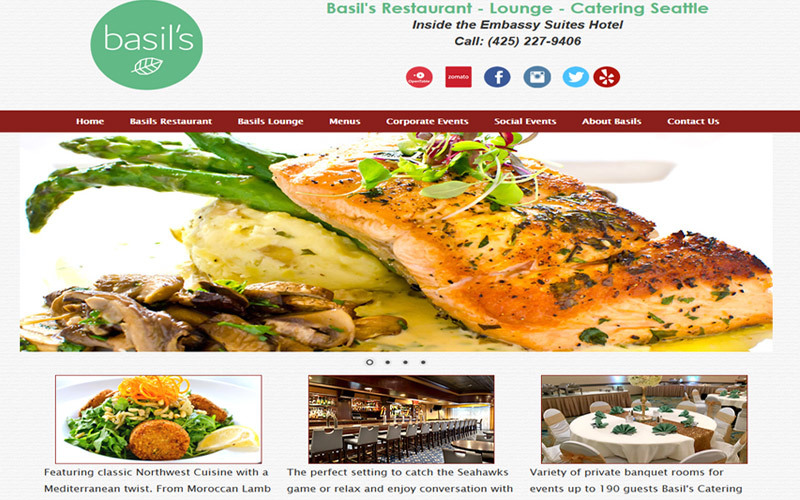 We specialize in mobile website designs for wedding venues, event centers, hotels, and other event facilities. 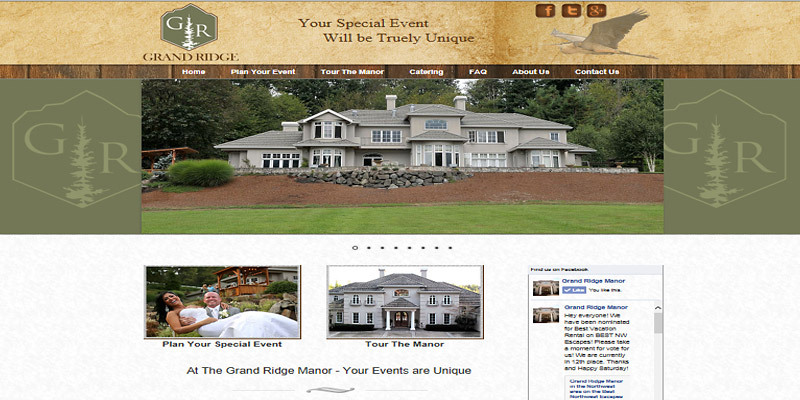 If you own or manage a large wedding venue, event center, hotel, or other facility that hosts weddings, reunions, and large group events, we can design a website that will highlight your event venue's unique property and amenities. 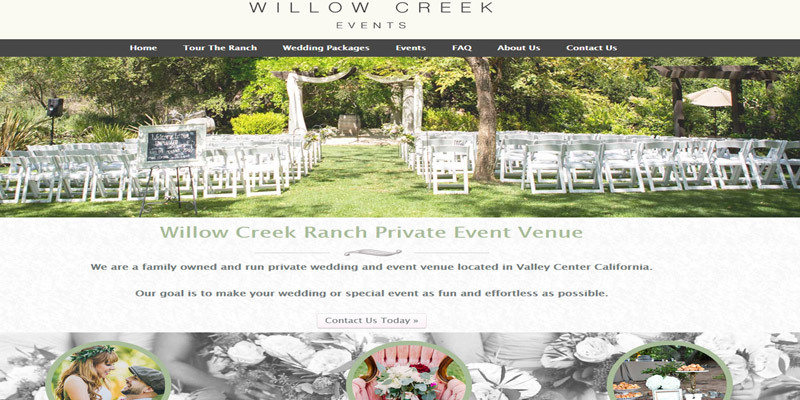 »» Brides and Grooms typically do a ton of online research before they book their wedding venue. After all, it probably will be one of the most memorable days of their lives. 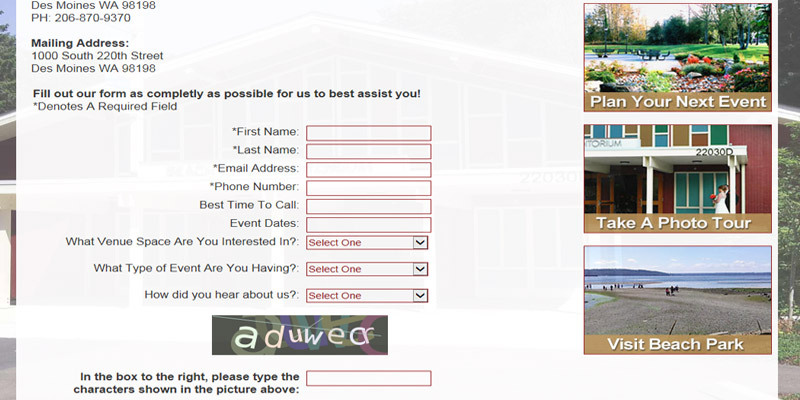 If your website does not grab their attention, someone else's will. So it's important to provide your prospective brides, grooms, and wedding planners with a visually arresting site that shows off your venue's finest qualities and attributes while explaining why it is the perfect venue for their special day. 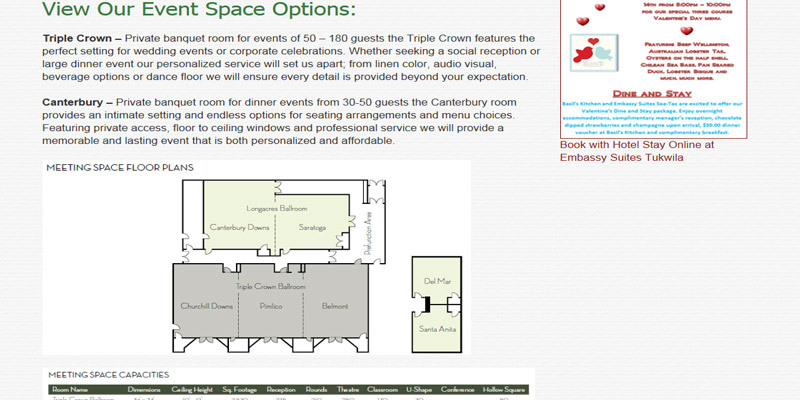 You also will want to consider including critical information such as room rates, pricing for banquet and meeting rooms, facility diagrams and specs, booking information, local attractions, photo galleries, and more. 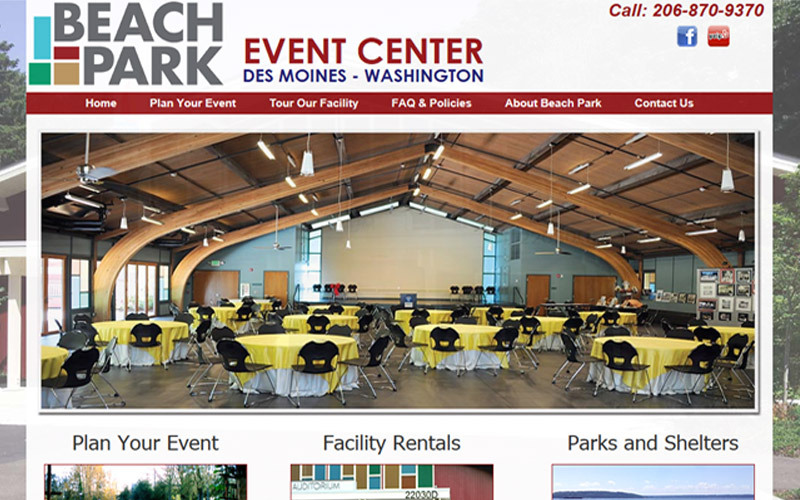 An attractive website is the number one way to capture more leads and help your event center, hotel, or wedding venue achieve recognition and success. 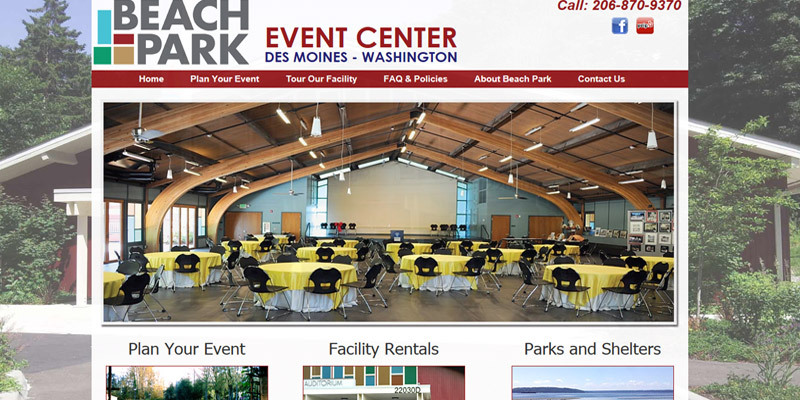 Pricing for custom Event Center websites can start as low as $1,200. – When potential customers search the Internet for wedding and event venues, the number of results returned can be overwhelming and your venue could easily be lost in the crowd. If you want to attract the attention of these brides, grooms, and event coordinators, a professional website is essential. 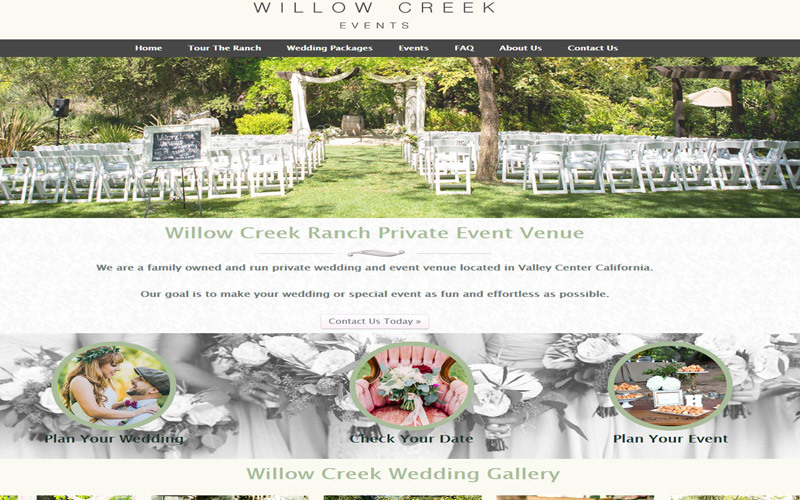 We can create a complete, professional, visually appealing website for your wedding venue, event center, hotel, or other facility. – Marketing! We design all of our websites with search engine optimization (SEO) as the number one priority. Our SEO expertise will help ensure that your website ranks well in Google and other search engines – right off the bat. This kind of natural search will help you quickly attract brides, grooms, event planners, and traveling guests who want to book in your area. 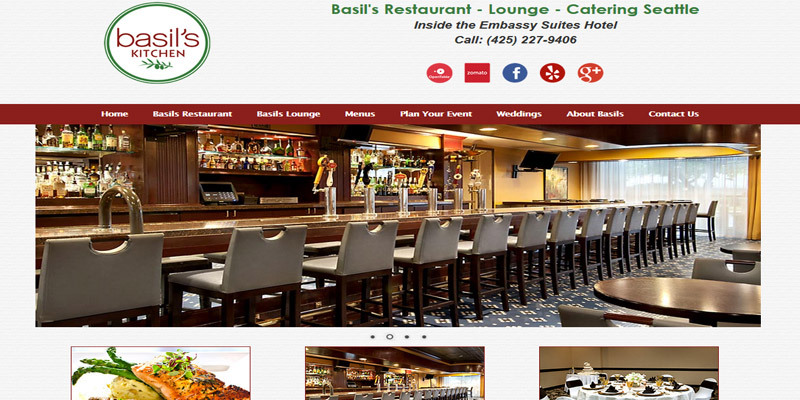 – Help your event venue shine! If your property participates in wedding shows or trade shows, you need a website that will help you shine while you're at the show. One of the most common questions a bride asks at a wedding show is "do you have a website?" If you're already displaying your website on a big projector screen at the show, you just might get the next question: "what event dates do you have available?" This means you could generate bookings while at the show, not just leads. – Email newsletters are a great way of staying in touch with event coordinators or frequent travelers looking for special deals at your event center or hotel. 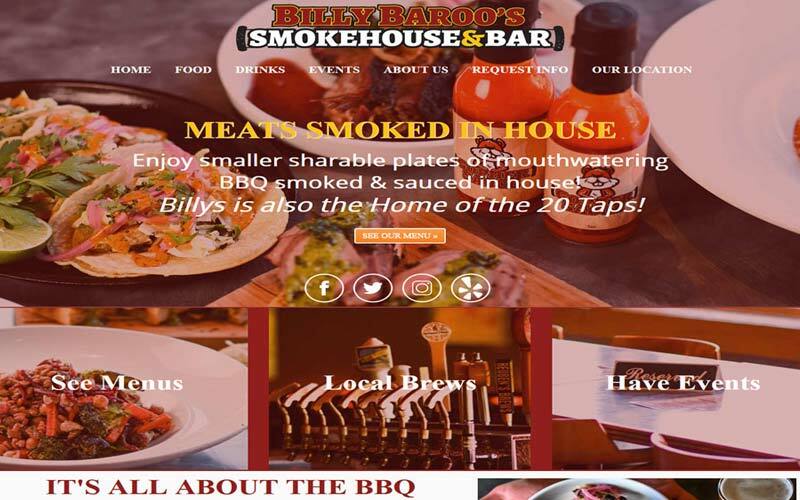 We can help you use your website to build an email list with an email signup box, and we can help you communicate with hundreds of customers or potential customers with one email blast. 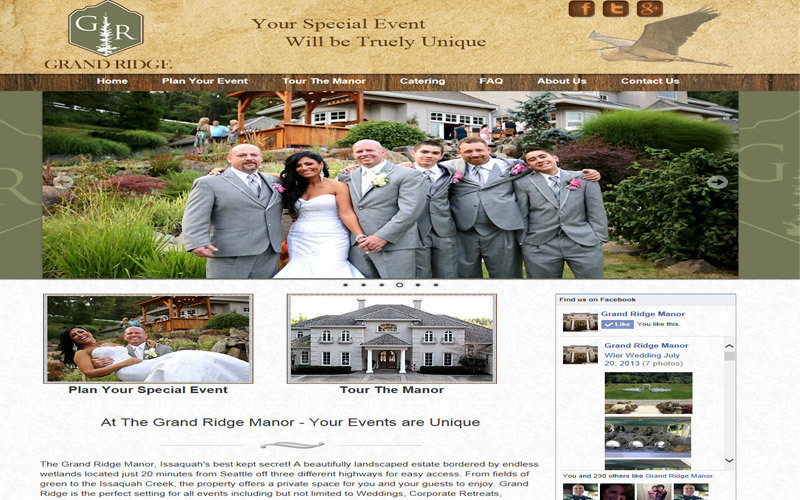 – We have helped many large and small wedding venues, event centers, and hotels in the Seattle area design and develop attractive lead-generating websites. A website that is creative, visually exciting, brand-worthy, and informative will generate more leads. We can help you build that site and so much more.